F6628 was successfully added to your cart! F6628 could not be added as a favorite. Please make sure you are logged in. Feederhouse chain with slats, wide spaced. For John Deere 6600, 6620 with regular length feeder house. 550 Drives/USA chain with connector links. 28 slats bolt to chain with lock bolts and lock nuts. Confirm number of slats on present chain. Shipped UPS unassembled. 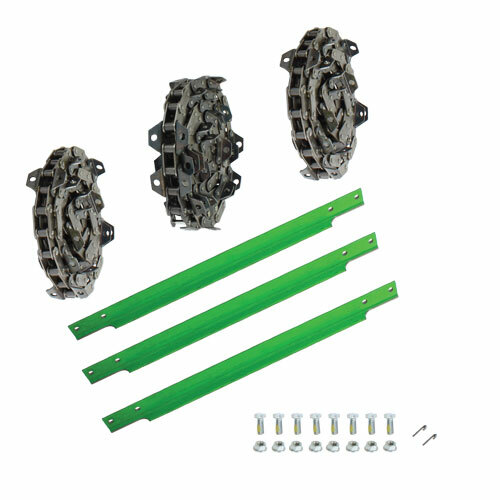 Assembled chains can be shipped via truck freight, call 800-627-6137 for additional charges. 550 chain with 42 slats, closed spaced. For John Deere 6600, 6620 with regular length feederhouse. 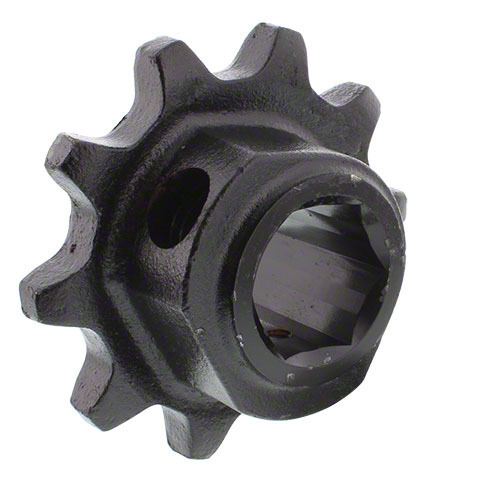 Feederhouse upper drive sprocket, 1-3/4" hex bore. For John Deere 6600, 6600 Side-Hill, 6620, 6620 Side-Hill, 7700, 7720, 8820; 9400 s/n 641501 & up; 9500 s/n 643901 & up; 9600 s/n 645301 & up; CTS.